Sinai - The Convent of Sinai. 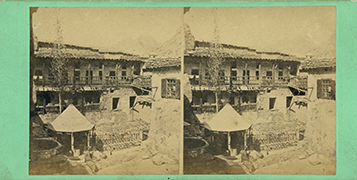 The Banks McLaurin, Jr. Stereograph Collection, held by SMU's DeGolyer Library, consists of approximately 9,000 stereographs, and related 3-D items, ca. 1851-1930. A finding aid to the Banks McLaurin, Jr. Stereograph Collection is available. Banks McLaurin, Jr. (1924-2003) began collecting stereographs and 3-D materials after he retired from a career in the petroleum industry. 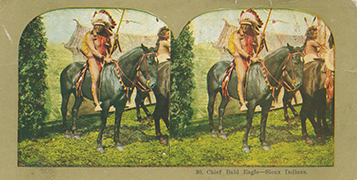 His interests were broad, and the collection contains stereoscopic views by hundreds of photographers and publishers from the United States with some regional Texas, Louisiana, Oklahoma, Arkansas, and views by many foreign photographers. Specialized subjects include: agriculture, industry, humor, floral, world's fairs and expositions, political figures, and wars: the American Civil War, Spanish American War, World War I, World War II, Boer War, etc. 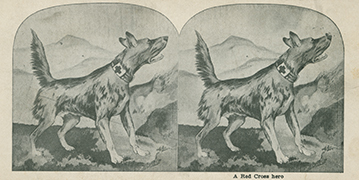 Stereos are in such various formats as flat mounts, curved mounts, tissues, and chromolithographs. The collection includes boxed travel sets by Keystone, Underwood & Underwood, H.C. White, and others, magic lantern slides, stereoscopes, View-Master and True-Vue viewers, and books. 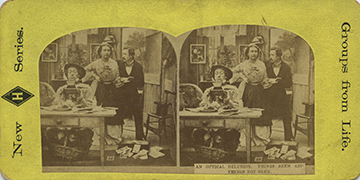 The Banks McLaurin, Jr. stereograph collection consists of stereographs, boxed travel sets, magic lantern slides, True-Vue reels, View-Master cards, 36 stereoscopes, viewers, a wooden stereo cabinet, books and back issues of Stereo World, ca. 1851-1930. The collection is arranged by state, country and subject. There are flat mount, curved mount, tissue and lithograph reproduction stereos (lithos) in the collection. McLaurin collected in the following categories: American states, expositions, events, humor, people, foreign countries, war and disasters, agriculture, and industry. He collected his many stereo cards from a total of 106 countries. 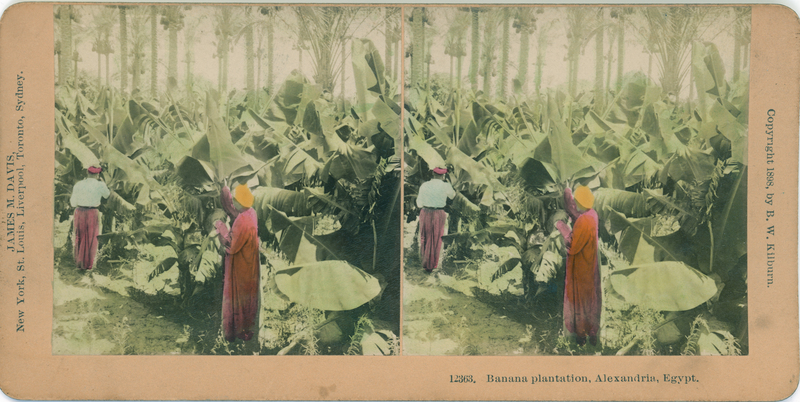 Besides views from around the world in various subject areas, he also sought stereos by different photographers, amassing views by roughly 800 image-makers. Some of his favorite stereos were the early, delicate French tissues.